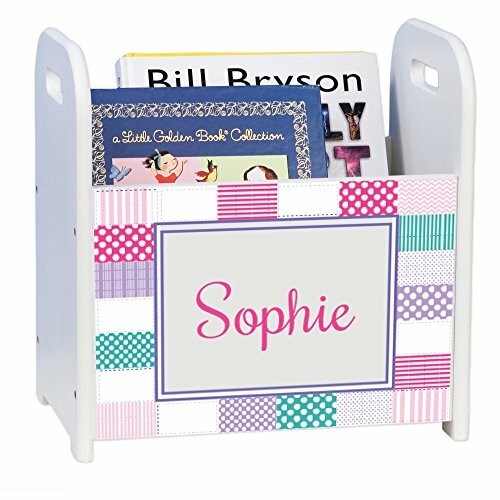 Our MyBambino personalized patchwork girl white book caddy and rack is an ideal holder for magazines or a portion of their library beside their favorite reading chair or bedside. Constructed from wood composite for durability and roomy enough to hold even over sized books. Imprinted with permanent non-toxic ink - Certifed Lead Free!